Stage 3D is a new architecture for hardware accelerated graphics rendering developed that provides a set of low-level APIs that enable advanced 2D and 3D rendering capabilities across screens and devices (desktop, mobile, and TV). Using Stage 3D, app and framework developers can now access high performance GPU hardware acceleration, enabling the creation of new classes of rich, interactive experiences. Note: Stage 3D for mobile versions of Flash Player & AIR will be enabled in a future releaseEnter your state here. Flash Access content protection support is now available on mobile devices including Android powered smartphones and tablets. In addition, content protection is now supported on tablet devices powered by the BlackBerry® Tablet OS. Note: Flash Access for iOS is not supported at this time. New Flash Access content protection features include key rotation support, V3 license chaining, domain support and enhanced output protection and device filtering. Protected HTTP Dynamic Streaming (HDS) provides protection for streaming video across screens while eliminating the deployment complexity of a license server. Similar to NetStream.close() except that it also clears up the last frame held up by NetStream to be displayed on the Video object. Use this instead of NetStream.close() if the NetStream is to be re-used for other streams later. It enforces garbage collection of the video frame and related decompressor objects. The video object will display a blank frame after the use of this method. Stream high-quality video from your computer's camera with higher compression efficiency and industry stanard support, enabling both immersive real-time communications such as video chat/conferencing and live video broadcasts. Flash Player and AIR now include support for the JPEG-XR advanced image compression standard (International Standard ISO/IEC 29199-2). The computationally lightweight JPEG-XR format provides more efficient compression than JPEG, enables both lossy and lossless compression support, and adds support for alpha channel transparency. BitmapData objects are no longer limited to a maximum resolution of 16 megapixels (16,777,215 pixels), and maximum bitmap width/height is no longer limited to 8,191 pixels, enabling the development of apps that utilize very large bitmaps. Developers can now take advantage of LZMA compression for their SWF files. LZMA compression can reduce SWF size by up to 40%, enabling users to benefit from richer experiences with shorter download times and reduced bandwidth consumption. Allows ActionScript developers to take advantage of high performance native parsing and generation of JSON-formatted data. Provides smoother, more responsive user experiences by allowing developers to provide hints to optimize garbage collection scheduling. The cubicCurveTo drawing API allows developers to easily create complex cubic Beziers without requiring custom ActionScript code. Improve management of data transfer using the Socket class by providing a new property to determine the number of bytes remaining in the write buffer and a new event for when data is being sent to the network layer. Using these new APIs, developers can build applications such as file transfer utilities that monitor socket progress and provide responsive feedback. DisplayObjectContainer now implements a removeChildren API allowing developers to quickly remove all of a container's children using a single API call. A new MovieClip.isPlaying property returns the MovieClip's current playing state. In today's release, we've updated Flash Player with critical security and functional bug fixes. We recommend all customers upgrade to this version. For those organizations that use the Extended Support Release (ESR), please note that we have incremented the ESR from version 13 to version 18 with today's update. 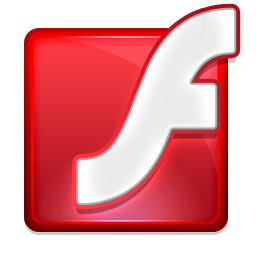 Current Flash Player 18 users who have enrolled in the "Allow Adobe to install updates (recommended)" update mechanism will be automatically updated to the latest version of Flash Player over the next 24 hours. Users who have selected "Notify me to install updates" will receive an update notification dialog within 7 days from today. Please note that Windows users will need to restart their system or log out and in to activate the update notification dialog.